Proverbs 3:5-8 – Trust in the LORD with all your heart, and do not lean on your own understanding. 6 In all your ways acknowledge him, and he will make straight your paths. 7 Be not wise in your own eyes; fear the LORD, and turn away from evil. 8 It will be healing to your flesh and refreshment to your bones. Rough Trail descends a twisted path from the Second Story rock shelter. Red River Gorge Geological Area, Daniel Boone National Forest, Kentucky. 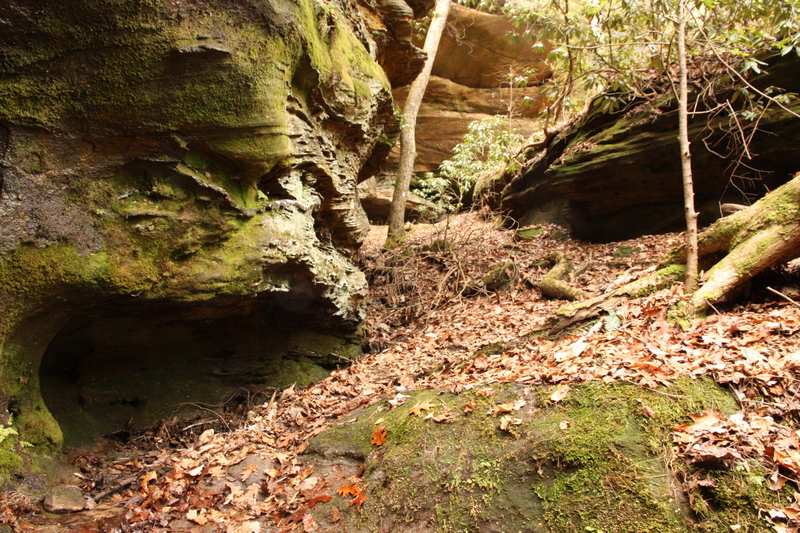 If you plan to hike in a remote area like Kentucky’s Red River Gorge, you really should not just head out and rely on your own sense of direction to find your way; carry a good topographic map and a compass and learn how to use them. Before you venture out on an unfamiliar trail spend time studying your maps so you have a good understanding of the route you plan to follow as well as key landmarks along the way. Even though GPS technology is useful and quite amazing, anybody who carries one will know what I mean when I say that reception is very unreliable in places like the one in this photograph. Finally, even if you are hiking on familiar trails, you should always let someone know where you are going, what trails you are hiking, and when you plan to be back. If something happens and you do not return as expected, this information could save your life. In our daily walk we too often rely on our own understanding, failing to pick up the map and compass God has given us to navigate on our Christian journey through life, the Bible. Whether in good times or bad, we think we have all the answers and fail to seek the Lord through his inspired and infallible words found in the pages of Scripture. Nor do we turn to him in prayer like we should, seeking him with all our heart and trusting in his perfect will for our lives. Yet if we heeded the words of today’s passage from Proverbs 3, we would realize that it is God who “will make straight [our] paths,” instead of following the twisted paths of our own understanding. This entry was posted in God is Revealed... and tagged Bible, Daniel Boone National Forest, God, Kentucky, Lord, Proverbs, Proverbs 3, Red River Gorge, Red River Gorge Geological Area, Rough Trail, Trust in the Lord by Todd D. Nystrom. Bookmark the permalink.